In consultation with Caroline Briggs, Bunnerong elder. 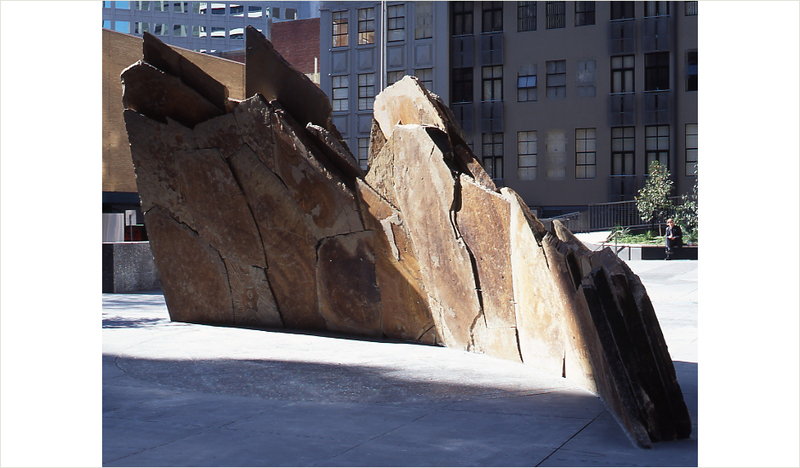 This work acknowledges the 400 million-year-old sandstone strata that lie under the central Melbourne plaza. Fiona Clarke was commissioned to collaborate with an artwork within the sculpture. 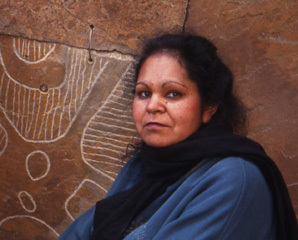 Using a chisel, she carved symbols relating to an eel trap and inspired by one of her Gunditjmara ancestral possum-skin cloaks into the surface of one of the stone slabs. This is acknowledging the indigenous people. While the possum-skin cloaks were stitched with sinews from the kangaroo tail, all the stones of the sculpture are stitched together with stainless steel cable. Copyright © 2019 Chris Booth. Powered by WordPress. Theme: Spacious by ThemeGrill.